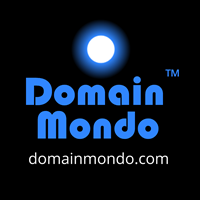 Domain Mondo | domainmondo.com: News Review: As GDPR Deadline Looms, Is ICANN Lost in La-La Land? News Review: As GDPR Deadline Looms, Is ICANN Lost in La-La Land? Domain Mondo's weekly internet domain news review (NR 2018-05-13) with analysis and opinion: Features • 1) As GDPR Deadline Looms, Is ICANN Lost in La-La Land? 2) Other ICANN news: a. .APP & Failing New gTLDs, b. Afilias vs ICANN re .WEB, c. ALAC At Large Review, d. RSSAC, e. Adobe Connect, 3) Names, Domains & Trademarks, $GDDY, $TCX, 4) ICYMI, 5) Most Read. The ICANN Board of Directors' resolution, available here, was unanimously adopted, and may be reaffirmed every 90 days for no more than one year. Cherine Chalaby, ICANN Board Chair said: "While there are elements remaining to be finalized, the adoption of this Temporary Specification sets us on the right path to maintaining WHOIS in the public interest, while complying with GDPR before its 25 May enforcement deadline." 13 May 2018 Approved Board Resolutions | Special Meeting of the ICANN Board | ICANN.org: "Consideration of the Temporary Specification for gTLD Registration Data (Implementation of GDPR Interim Compliance Model)--"Resolved (2018.05.13.11), the Board intends to move to a decision on the adoption of a proposed Temporary Specification on gTLD Registration Data (pursuant to the procedures in the Registry Agreement and Registrar Accreditation Agreement concerning the establishment of temporary policies) on or about 17 May 2018. The Board intends to use this additional time to confirm that appropriate modifications are incorporated into a proposed Temporary Specification prior to considering adoption. Upon adoption, a proposed Temporary Specification would be effective for a 90-day period beginning 25 May 2018, and the Board would reaffirm its temporary adoption every 90 calendar days for a total period not to exceed one year." 1) As GDPR Deadline Looms, Is ICANN Lost in La-La Land? ICANN's GDPR Train Wreck: How Many Days Until May 25? You're "a day late and a dollar short" -- You should have written this a year ago -- instead you waited until the latter part of 2017 before you started taking the GDPR seriously -- what if everybody was as irresponsible and incompetent as the ICANN "management team"? See: UPDATE May 10, 2018: ICANN CEO's Desperate 6-page Letter to WP29 Chair. The results from the ICANN Board's confab with the GAC? "... the Board has made a preliminary determination that its current approach on the proposed Interim Model (May 25), to be implemented in a Temporary Specification, is inconsistent or could be viewed as inconsistent with certain items of GAC advice." --11 May 2018 Letter from Cherine Chalaby to Manal Ismail (pdf). UPDATE: All ICANN GDD Summit 2018 Session Recordings here. 1 May 2018 Letter from Tobias Sattler [CPH] to Akram Atallah [ICANN org] [Published 4 May 2018] Contract Party House TechOps (CPH TechOps) on GDPR Impact on Domain Name Transfers and Registrant Contact Changes. 7 May 2018 Letter from Tobias Sattler to Akram Atallah [Published 10 May 2018] Contracted Party House (CPH) TechOps on GDPR Impact on Domain NameTransfers and Registrant Contact Changes: "Unfortunately, the alternative proposal put forth by ICANN is not feasible for implementation in advance of 25 May 2018." 10 May 2018 Letter from Dean Marks & Steve Metalitz [COA] to Akram Atallah & Cyrus Namazi [ICANN] [Published 11 May 2018] Coalition for Online Accountability (COA) opposes the RrSG (Registrar Stakeholder Group) request to halt implementation of privacy/proxy accreditation. Accred-Model Version 1.5 May 11, 2018: version 1.5 [pdf] Accreditation and Access Model.--"A few skeptical thoughts in a tweet thread. https://twitter.com/qirtaiba/status/995071967572062214 These may not qualify as "constructive", but I wouldn't want to have silence interpreted as assent." -- Jeremy Malcolm, Senior Global Policy Analyst, Electronic Frontier Foundation eff.org. Editor's note: ICANN Board Chair Cherine Chalaby said this week that accreditation guidance from the EU will not come until late summer, seemingly dashing the hopes of the lawyers and lobbyists pushing their "version 1.5" above. It's just one more aspect of ICANN's GDPR Train Wreck. Send your 'Thank You' notes to ICANN CEO Goran Marby & the ICANN Management Team. See also: ICANN's new gTLDs increase online child sexual abuse imagery--"New gTLDs being used for the distribution of child sexual abuse imagery continues to be a rising trend in 2017"--IWF.org.uk: Internet Watch Foundation: Annual Report 2017 (pdf) (The IWF Annual Report is a record of its actions against online child sexual abuse imagery during 2017). b. Afilias vs ICANN et al re: new gTLD .WEB: see latest correspondence between counsel for Afilias and counsel for ICANN. "This is a "no-brainer"--restore the Adobe Connect ASAP (until you find a better or equal solution for less cost)--Adobe Connect should have NEVER been taken offline, particularly in the middle of ICANN61, as you report the only known exploit of the vulnerability was by the same "researcher" who "discovered" and reported the vulnerability. By that same logic, the entire DNS, with all of its KNOWN and UNKNOWN vulnerabilities, including the Public WHOIS, should be taken offline immediately. But since ICANN org has no respect nor regard for the vast majority of the world's domain name registrants, we all know where ICANN org stands on that issue. As members of the global internet community, none of us have a choice, we are continuously assaulted and burdened by the poor decisions made by overpaid and incompetent ICANN org management and the dysfunctional, self-selected "ICANN community" dominated by "special interests"--trademark lawyers, corporate lobbyists, and contracted parties--registrars and registry operators. Maybe the European Union can help us with the "privatized" ICANN global monopoly, since the U.S. government abandoned its "stewardship" role in 2016." a. Trademarks: Flood of Trademark Applications From China Alarms U.S. Officials | WSJ.com: "... applications that officials say appear to be rife with false information. .."
b. $GDDY: GoDaddy's Ray Winborne, Chief Financial Officer, and Mike McLaughlin, Chief Customer Officer, will present at the 46th Annual J.P Morgan Technology, Media and Communicaitons Conference in Boston on Tuesday, May 15, 2018 at 3:00 p.m. EDT. A live audio webcast of the event will be available on GoDaddy's investor relations website. Following the presentation an audio replay will be available at investors.godaddy.net. See also: Q1 2018 results reported this past week by GoDaddy $GDDY and Tucows $TCX. 1) U.S., 2) China, 3) Germany, 4) France.